pink, then you’ll love this stunning cover. 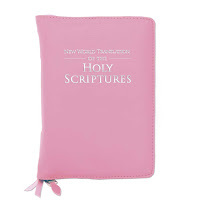 It’s made of durable materials and comes in a wide array of colors - that's why this pretty product is a great thing to keep in mind when looking for Bible covers for friends and family. The pink and lilac options are the most beautiful for those who want to add a fun and feminine touch to their ministry tools. 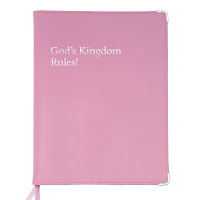 God’s Kingdom Rules Book Cover - There is nothing more beautiful than the words of the God’s Kingdom Rules book. With these lovely pink covers, you can make the outside of the book just as beautiful and moving as the words on the pages. JW Ministry Folio - How beautiful are these tablet holders for the ministry! 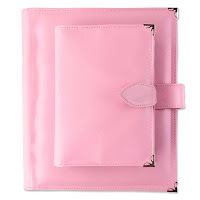 The rich, embossed, pink leather makes it a definite must-have for any female Witness of Jehovah who wants to show the contents of her tablet in a beautiful, aesthetically appealing fashion. Preaching Tote - Owning a tote that matches all of your ministry supplies is a dream come true for a stylish Witness. This beautiful tote beats keeping all of your supplies in your regular handbag. The pockets make it easy to keep everything organized. It’s made of sturdy materials with a wonderful strap that will ensure that you can transport your ministry tools comfortably while you’re witnessing. With these amazing ministry tools, it’s possible to give your witnessing supplies a beautiful and feminine touch. People will be impressed with the beautiful manner in which you keep your supplies and tools, and you are likely to inspire others. 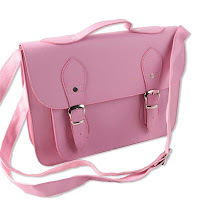 Which pink product do you own from Ministry Ideaz? Let us know how you like them in the comments below! 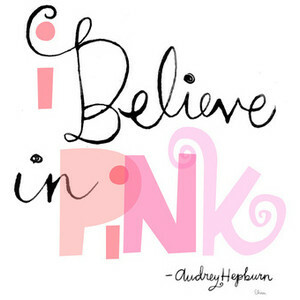 I love the pink! Thank you! Thanks for remembering us girlie girls!